Can diving mountains stop, or start, quakes? Roland von Huene, W. Weinrebe. A spot off the coast of Costa Rica where seamounts have burrowed into the continental plate. 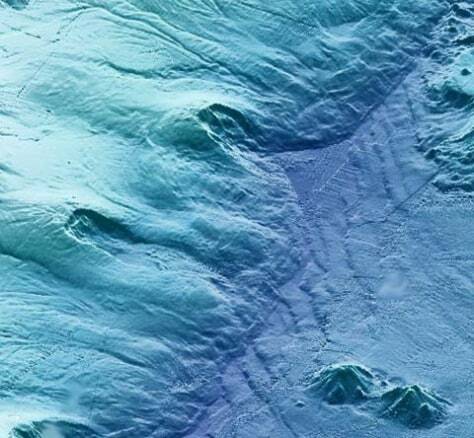 Two seamounts at the edge of the frame are headed in the same direction.